Upto now Anna University is not announced any news about leave. But some Websites and culprits are spreading rumor as holiday in the name of our website. From the beginning we are asked the students to "Don't believe the Rumors". Now some culprits are designing a image with our logo like fb msg and share the same in facebook, whatsapp and some other social media ways. So, we once again request all of you, Don't Believe the rumor spread with our name by some culprits. Don't d believe the images and just check our website / fb page. We are not posting any post like the above image. Not only our website,some other websites also got the same type of trouble by the culprits. They designed the images with the some other websites also. 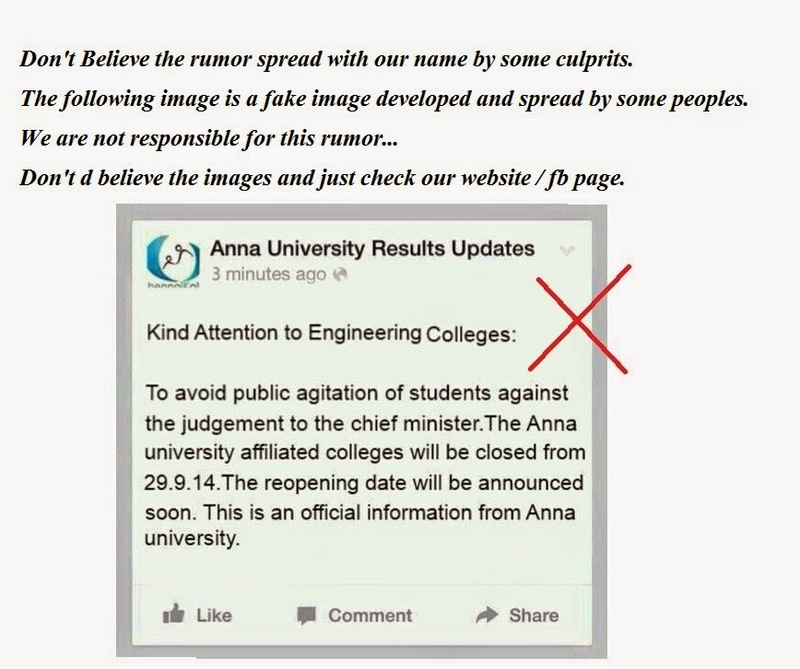 So please don't believe the images and just check that original websites for original news.